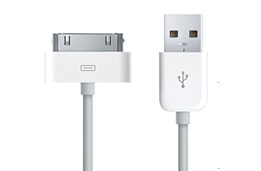 The ideal sync and charge USB cable for all your Apple™ iPhone™ , iPod™ and iPad™ devices. Great build quality with robust and long lasting connectors in original Apple™ colours to complement your Apple™ device. Ideal as a replacement cable or keep an extra one at home or office.